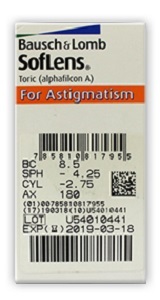 The SofLens66® Toric contact lens for astigmatism, has a unique design that is exceptionally easy to wear. It provides clear vision, and exceptional comfort consistently from lens to lens. 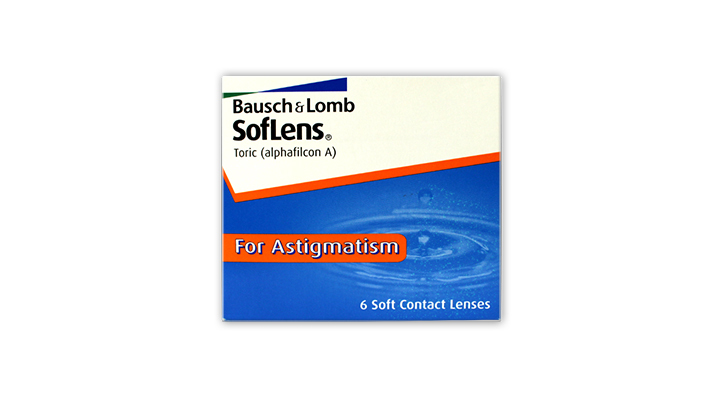 I have been using soflens 66 toric for many years now and see no reason to change. I usually find they last at least two months (designed to be disposed of after one month) and are very comfortable. I don`t usually even notice they are there, unless I maybe go into a store or building with air conditioning which is blowing dust around. A very good lens which I would highly recommend! I`m happy with my Purevision hydrogels (more oxygen), but when my wife tried them she found that her eyes felt dry, and they would get temporarily ill-fitting after a shower. Her doctor recommended Soflens 66 (I believe because they are a higher water content lens) and she prefers them and is very happy with them. Ive worn these type of contact lenses for 2 years now and still find them comfortable. I do alot of driving and find they dont tyre my eyes out too much like other lenses. Have been using these lenses for many years, would never change brand. Very rarely get dry eyes (sometimes when wearing lenses for greater than 12 hours) which are instantly resolved by hydrating eye drops. I find them very comfortable, easy to put in and don't feel them in my eyes. Would recommend them to anyone with high astigmatism.